Ben Stewart is Managing Director of Investor Relations of Humphreys Capital. In this role, he communicates fund strategy and performance, coordinates fund offering materials and investor correspondence, and reports to the Investment Committee. Ben serves on the board of directors of Reaching Souls International, an Oklahoma City-based Christian mission organization and on the advisory board of the Professional MBA program at The University of Oklahoma. Ben began his 19 years of experience by directing the investment processes of The Baptist Foundation of Oklahoma and the University of Oklahoma Foundation, managing $1.5 billion in assets at the time of his departure. At the University of Oklahoma Foundation Ben formed its first investment team, constructed and established the investment process, and built its portfolio into a top-decile ranked endowment. He coordinated the investment activities of the Foundations’ portfolios including recommending asset allocation and manager selection. He oversaw due diligence and monitoring processes on the Foundations’ external investment managers, including multiple private limited partnerships in real estate, private equity, venture capital, and energy. 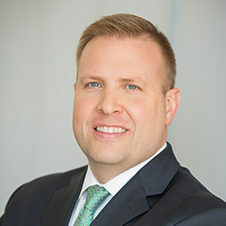 Ben joined Humphreys Capital in 2015. Ben earned a Master of Business Administration with an emphasis in Finance from the University of Oklahoma in 2002 and a Bachelor of Business Administration in Finance from Oklahoma Baptist University in 1999. He and his wife, Jeannie, have three children and reside in Newcastle, Oklahoma. He also serves as an elder, teacher, and youth basketball coach at his church.